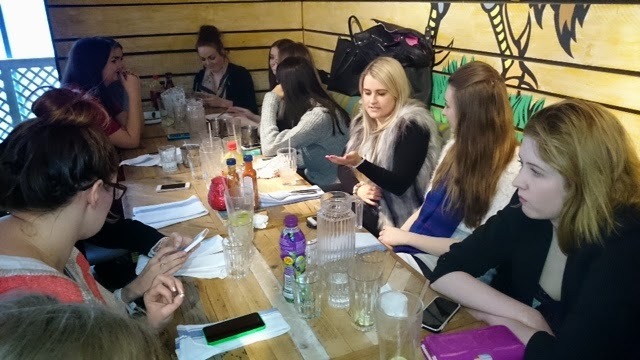 Last Saturday I met up with the usual blogging girls for a spot of lunch at Turtle Bay. It was an easy location for everyone and the date was set for end of the month for obvious reasons - pay day and the 2 for 1 cocktails. It's been a while since I visited for lunch and I completely forgot how great the food tastes! 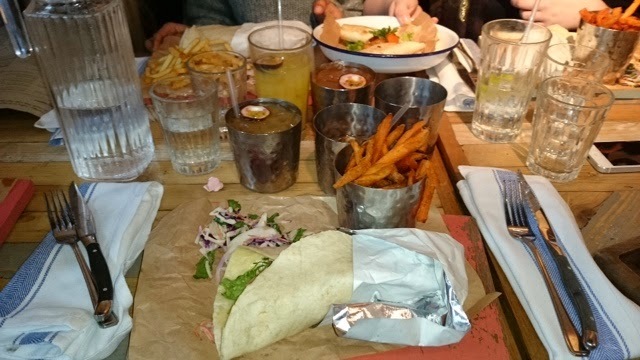 I opt for the Jerk pork wrap with coleslaw and sweet potato chips. I could have eaten another portion of sweet potato chips they were crunchy and super sweet. While sipping our cocktails I had a natter with the usual girls. This is probably our 5th or 6th catch up now for a few of us and it's becoming a regular monthly gathering! 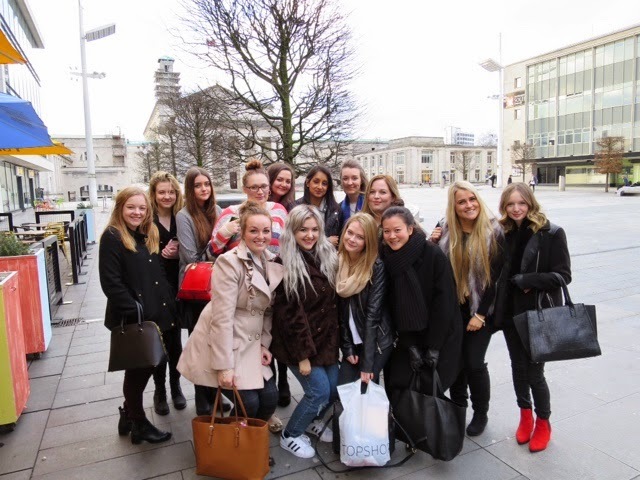 It's been great meeting a bunch of girls where you have so much in common nattering about our lives and our blogs. 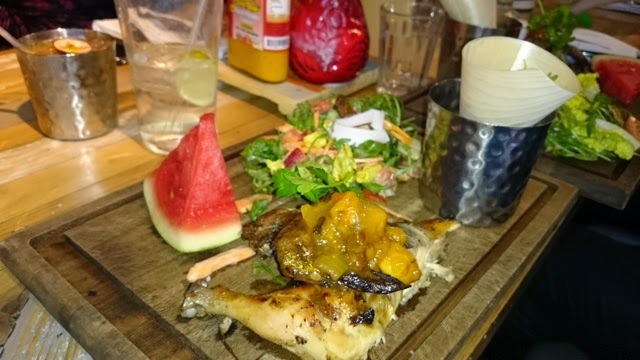 I wish I took more photos but soon as the food arrived I wanted tuck in straight away. We finished off the day wondering around the shops and TKMaxx is always my favourite!!!!! Look on my instagram to see what I picked up!!!! Here are some of the blogs if you fancy a new read. Looks like you all had a great day out! And great bargain from tkmaxx. 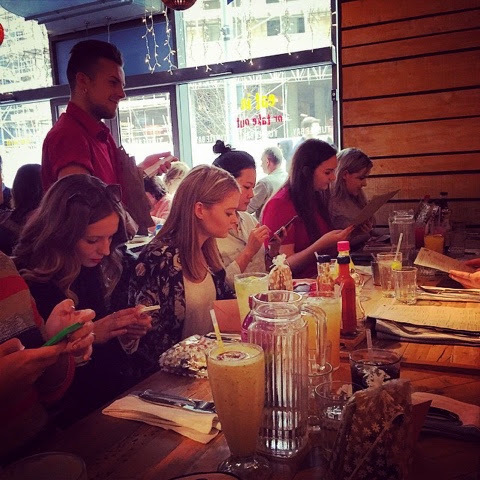 wish there were blogger meet ups near me! It was a fab afternoon! Yes tkmaxx do the best things if you have the time looking through everything. It's def one of my fav places for home bits and pieces. This looks so so lovely! I'm slightly jealous I have to admit. 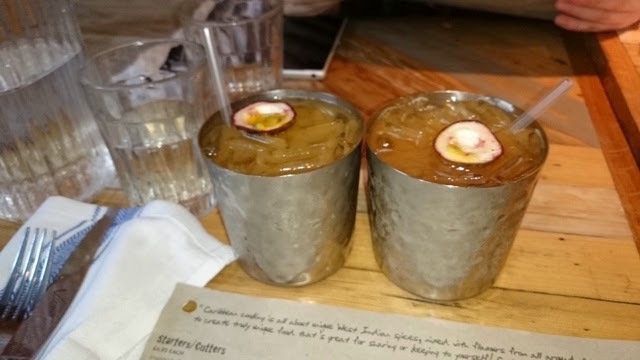 And those are not cocktails - they are BUCKETS!! Yeah these meet ups tend to happen monthly with the same bunch of girls so it's good fun! 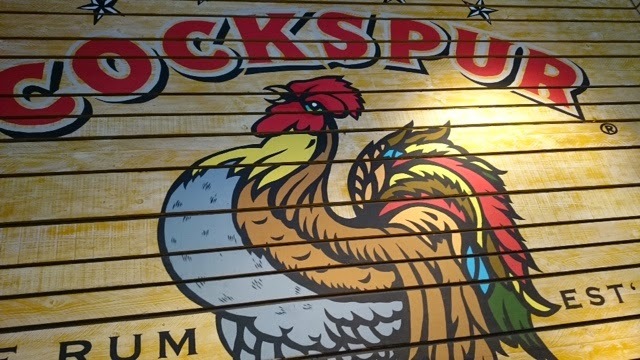 Have you been to any in your area?